Kit contains everything required to provide an weatherproof anti slip, rust and chemical resistant coating to most flat bed trucks, boats, decks or stables. Protecta-Kote UVR Anti-Slip Rubber Paint Kit contains everything required to provide a weatherproof anti slip, rust and chemical resistant coating to most flat bed trucks, boats, decks or stables. Protecta-Kote Anti Slip Rubber Paint is a tough weather resistant, one-part polyurethane with self-contained recycled rubber granules which give the coating an attractive tough-textured appearance. When exposed to atmospheric moisture, Protecta-Kote undergoes a chemical curing process which changes it from a liquid to a tough polyurethane membrane. Protecta-Kote will chemically bond to most clean and dry surfaces including, but are not limited to, concrete, wood, fibreglass, metal, rubber and sound-painted materials. This Protecta-Kote Anti Slip Rubber Paint kit is ideal as a complete solution for ramps, fire escapes, canal boats, decks, farms, stables, floors, flat bed trucks and more. Protecta-Kote can give a relatively smooth or rough surface, depending on application technique. Also suitable for trucks and delivery vehicles, caravan roofs, motorhome showers, hydraulic tail lifts, underbody and wheel arch protection, buses and trailers. Protectakote UVR can be applied to: metal, concrete, wood, fiberglass, PVC, rubber and glazed tiles. paint mixer drill attachment or stirring rod, wide masking tape, clean-up rags and xylene, acetone, MEK or a cleaning detergent. Stir Protecta-Kote very well before use, keeping the rubber crumbs in suspension. Use a mixer drill attachment if available otherwise use a stirring rod. Stir for at least 3 minutes just before beginning the application and stir occasionally during the application. Remove vehicle tailgate if it is likely to be an obstruction. Clean heavy dirt and grime from the truck bed or other surface using Xylene or Acetone. Alternatively water with an alkaline (only) domestic detergent may be used. Allow the surface to dry completely. All painted surfaces where the Protecta-Kote is to be applied should be roughened with the included scouring pad or medium grit sandpaper leaving no glossy areas. Blow or dust the sanding dust away and wipe the surface down with xylene or acetone only. Do not use any other solvents. ENSURE THAT WHEN YOU ARE WORKING IN A WELL VENTILATED AREA AND ARE WEARING THE SUPPLIED GLOVES. Leave to dry. Old paintwork requires special attention: Loose paint must be completely removed, Rust must be removed to bare metal and primed before application of Protecta-Kote, Clean and roughen remaining paint as per new paint (above). Use masking tape and paper sheets to cover any areas which you wish not to be coated including latch bolts and drain holes. Ensure that you have clean-up solvents and rags in easy reach. 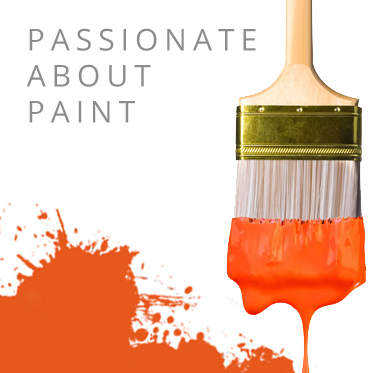 Immediately remove Protecta-Kote spills, drips and spots made while painting with xylene. Stir Protecta-kote very well (For best results use an electric drill with a stirring attachment). Protectakote may be thinned with up to 10% Xylene if it thickens after opening. Do not use any other solvents. Using the supplied paintbrushes, paint corners, seams and difficult areas first. Dab Protecta-Kote on rather than painting it on like paint. Begin applying the first coat of Protecta-kote using the foam roller provided. For best results apply the first coat in one direction and complete each coat without break. Do not apply too thickly as "mud-cracking" will appear. Try to avoid allowing the Protecta-kote to clump or run. Clean up any spills immediately. Between coats, keep brush and roller moistened with xylene and protect for later use or discard and use a new one. Stir the Protecta-kote again before starting the second coat. inter-coat adhesion will result when the second coat is applied after the first coat has fully cured. If the first coat has fully cured the surface must be abraded with 180 grit sand paper before applying the second coat. Remove masking tape as soon as the second coat has been applied using a Stanley blade to prevent tearing. The vehicle will be ready for light use in 6 - 9 hours. Full cure will take 48 hours so avoid placing heavy articles onto the painted surface for this period. Theorectical Coverage: 1.2-1.5m2 / litre for normal applications. 0.5m2/litre for high wear applications. As with all aromatic polyurethane's, colours darken with U.V. exposure and gloss is lost with time. PROTECTA-KOTE can easily be repaired or over coated after cleaning and sanding the surface. Store indoors between 15-25°C out of direct sunlight. Excessive temperature will cause thickening.